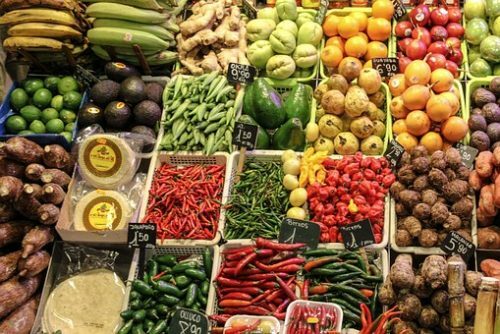 The EAT-Lancet Commission on Food, Planet, Health has hit headlines with the release of its first full scientific review of what constitutes a healthy diet from a sustainable food system and which actions will help feed a population of 10 billion by 2050. The report involved more than 30 experts from around the world. Profs. Evan Fraser, director of the Arrell Food Institute, Jess Haines, Department of Family Relations and Applied Nutrition, and Madhur Anand, School of Environmental Sciences, are all familiar with the report. Fraser said the report is a great wake-up call and raises a number of important dietary changes needed to ensure we get the proper nutrition while sustaining the planet. Haines said the recommended diet outlined in the report is a substantial departure from the current dietary intake patterns of Canadians. To meet the recommendations for a healthy diet by 2050, she said, we need to identify strategies to help Canadians eat more vegetables, fruits and plant-based proteins such as legumes while eating fewer highly processed foods and animal-based proteins. Anand said the report makes great strides toward integrating human and ecosystem health. Her recent study showed that one giga-hectare of land would be required if the world adopted current western dietary guidelines, an unsustainable amount of land. All three experts are available for media interviews.